Do you need to make extra income for your family? Do you wish you could stay at home with your children and still make an income? Have you considered becoming a Virtual Assistant? 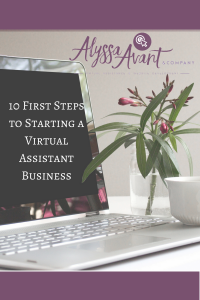 This short step-by-step guide was written by veteran Virtual Assistant and coach, Alyssa Avant who has been a virtual assistant since 2007. She currently makes a full time income working from home as a virtual assistant.